Bagua symbols represent the constantly changing forces and natural phenomena of the universe as described in the I-Ching. Each trigram features long (yang) and/or short (yin) lines or a combination to represent the eight compass directions. A bagua map, also known as pa kua, is a feng shui tool that locates the areas of positive and negative energy in a home or office. Once the areas are identified, applying feng shui cures where needed allows the flow of positive energy, known as chi, to flow through the entire space freely. Shaped like as an octagon, the bagua consists of nine areas. Each of the eight sides of the bagua diagram and the center circle each correlate to a spec fic life aspect. The symbols of the bagua are a yin yang and eight trigrams. The center of the bagua, a yin yang, symbolizes the balance found within the earth, you and your life. In the bagua, earth represents your home or office. Each of the other eight areas directly affects the center area just as each aspect of life directly affects you. 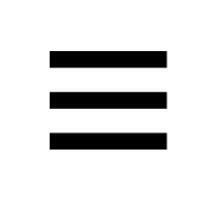 The lines of the trigram are either a long solid line or two short lines. The solid line represents yang or male energies of nature while yin, the female energies are represented by two short hyphens. The Yao lines are put together in a grouping of three, placed one over the other. 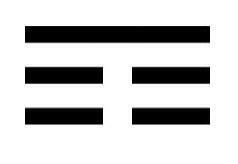 The trigram symbol for heaven is three solid lines, showing male energy that is strong and undivided. Heaven is the king or father. The translation for heaven is Quian, Chien or Chyan. Heaven is the creative celestial force from which everything occurs. Its direction is northwest, and it represents helpful people and travel on the bagua map. The translation and for Earth is Kun. Its trigram is three yin lines as it is receptive and open to natural forces, such as sun and rain. Earth is the compliment of heaven and represents the feminine as mother earth and the origin of life. On the bagua map earth's direction is southwest representing love and marriage. The trigram for thunder consists of a solid line below two broken lines. Representing strong movement, thunder is full of vitality and activity as it develops and grows. The translation for thunder is chen. The bagua direction of thunder is east representing health and family on the bagua map. Translated as kan, the trigram for water is a solid line above and below a broken line. Water represents challenges, mystery and deep meaning. The trigram for water is the opposite of the trigram for fire, just a water and fire are opposites. 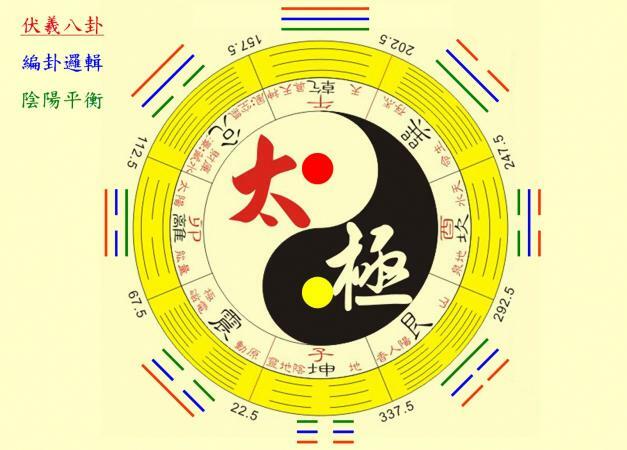 The direction of water on the bagua map is north, representing the life aspect of career. The translation for mountain is ken or gen and its symbol on the bagua is two solid lines above a broken line. The bagua direction is northeast, and it represents the life aspect of knowledge and cultivation. The trigram for wind is a broken line below two solid lines. It represents the life aspect of wealth and prosperity and its direction is southwest. The translation for wind is xun. Translated as li, fire's direction on the bagua map is south. It represents the life aspect of fame and reputation which is often called the illumination area. 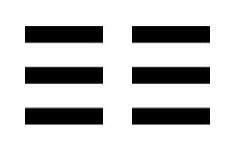 The trigram for fire is a broken line between two solid lines. The trigram of lake is two solid lines below a broken line, showing that a lake is receptive and open on the top and solid on the bottom. It represents happiness and joy. The bagua direction of lake is west. and it represents the life aspect of creativity and children. The translation of lake is tui or dui. Each trigram has a polar opposite on the bagua octogan This is designed to maintain the proper balance of yin yang energy. In Black Sect Tantric Buddhist School of Feng Shui (BTB), the bagua map is used the same way for each application with the south sector placed at the top of the home layout. In classical feng shui, the bagua is placed according to matching compass directions, allowing an authentic grid view of your home and governing energies based on these compass points. The trigrams of a bagua assist in determining if the chi energy in a home or office sector is positive (yang) or negative (yin) and if a remedy or cure is required. Bagua symbols are important in the practice of feng shui. They help practitioners in determining and understanding the flow of the forces of energy in the universe and how it affects them and their living space.